Fastest in the industry!! Can produce 4,800 delicious and fluffy rice balls (20 g or less in size) per hour. Market share, capacity, and comforting ease-of-use make it the industry leader!! Our machine forms delicious Nigiri rice balls with proper melt-in-your-mouth consistency. It uses a unique forming process that does not damage the grains of sushi rice. Compact size designed with user-friendliness in mind. Equipped with a high-definition LCD touchscreen. Can handle even large amounts of sushi rice. The measurement unit keeps the rice at a low density and with uniform distribution so the machine produces rice that is even fluffier than ever. Uses a unique comb-tine method to form the sushi rice into soft balls without cutting or damaging any grains. Number of rice balls desired can be preset so it produces only the amount you want. Very convenient for making Gunkanmaki and small amounts of rice balls. The simple construction of this machine means it excels in terms of sanitariness and washability, and can assembled or disassembled easily. 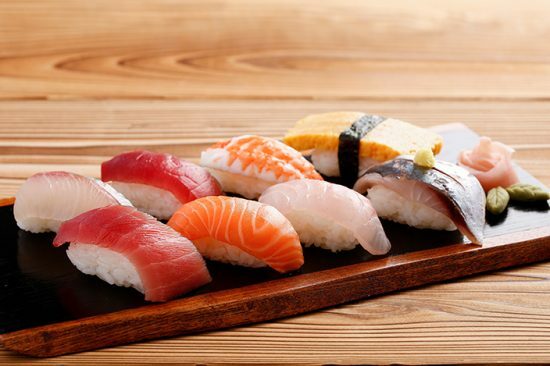 * Maximum speed will vary depending on the desired weight and softness of nigiri. * Lid storage rack not included with CE model. Also, only the large-size rice hopper is included.